HUGE MEETING OF THE INTERNATIONAL CUSTOM SCENE. 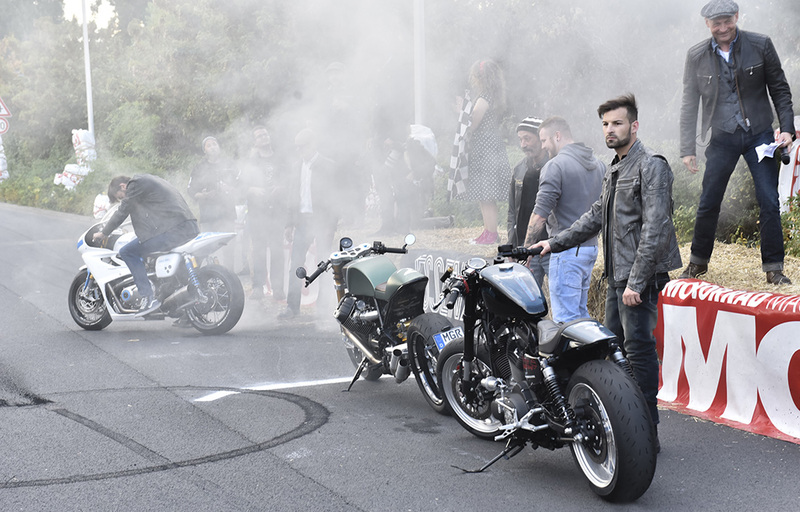 The biker scene has not been as exciting as it is now for a long time, with the rebirth of the Cafe Racer, drag-style bike, chopper and bobber: in short, custom-scene bikes. Finally, the bikes are no longer, year in, year out, more practical, comfortable and easier to handle, but are again becoming more creative, louder and above all wicked: sorry, more individual. Also at INTERMOT 2018, the customizing scene will once again be integrated into the event under the name “INTERMOT customized” as a stand-alone “show within a show”, with its own visual and specific pricing. In this way, in addition to the contacts made in the scene, the exhibitors at INTERMOT customized will also benefit from the presence of the many representatives from industry and trade at INTERMOT. 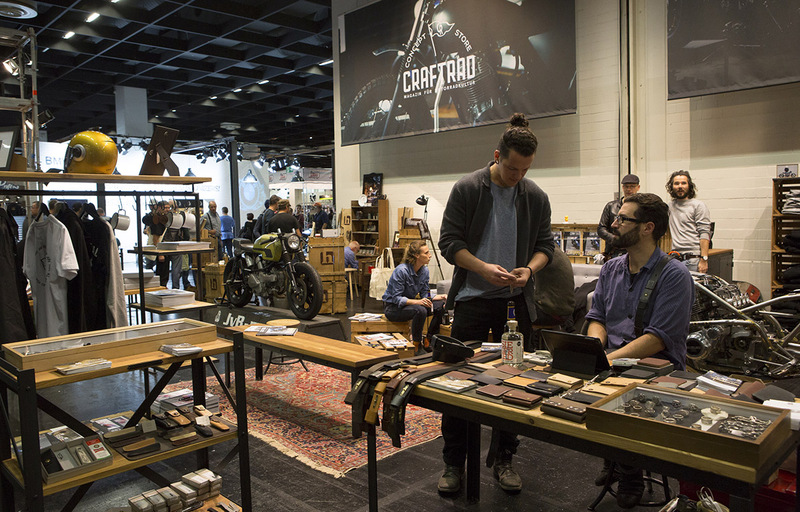 The array of products on show ranges from modifications to clothing, all the way to parts and accessories. 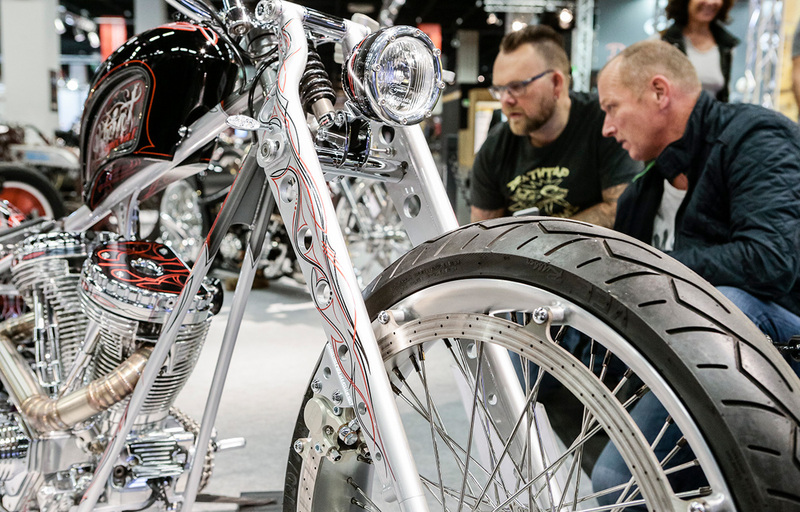 The custom scene is going full throttle, attracting fresh blood to the biker scene: many young motorcycle enthusiasts enjoy cool bikes, whereas older riders are finally fulfilling their Harley or Cafe Racer dream. And because demand last year was so huge, this year we are enlarging the customized segment even more! 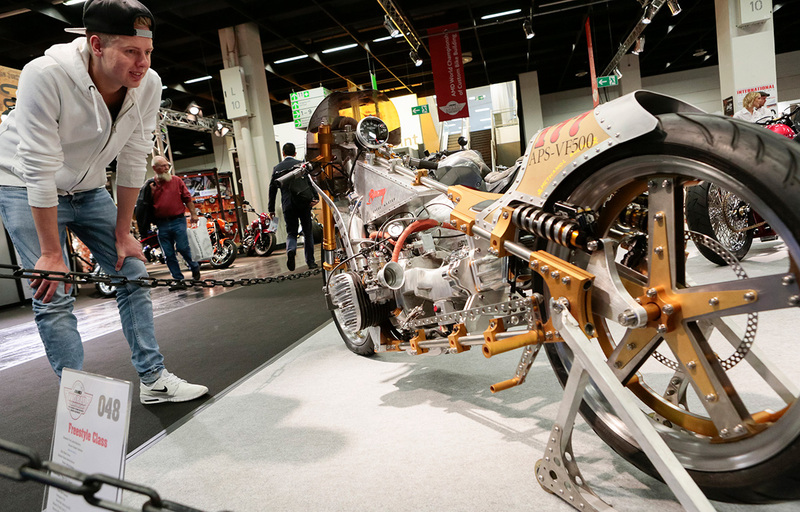 In addition to the international business, INTERMOT customized offers a rich event programme. 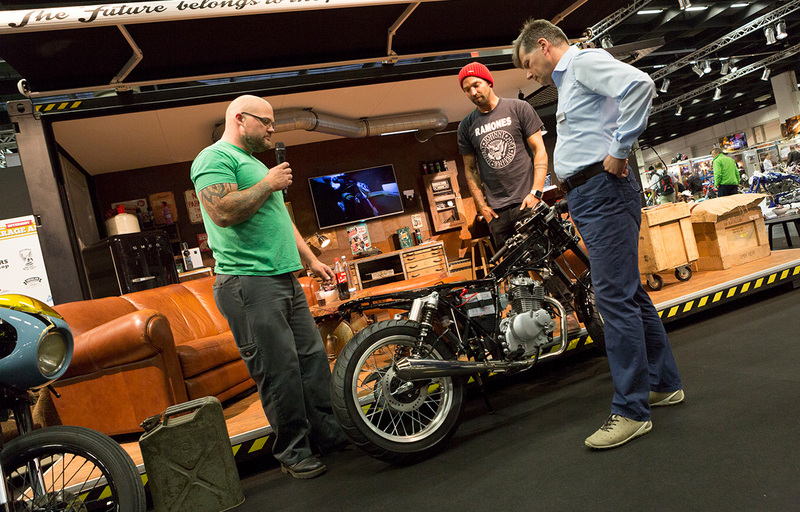 The focus is on the customized stage, where the award ceremonies for the individual bike shows and expert talks will take place. But that's not all the customized area has to offer. An in-house barber and tattoo shop gives visitors the perfect look directly on site. 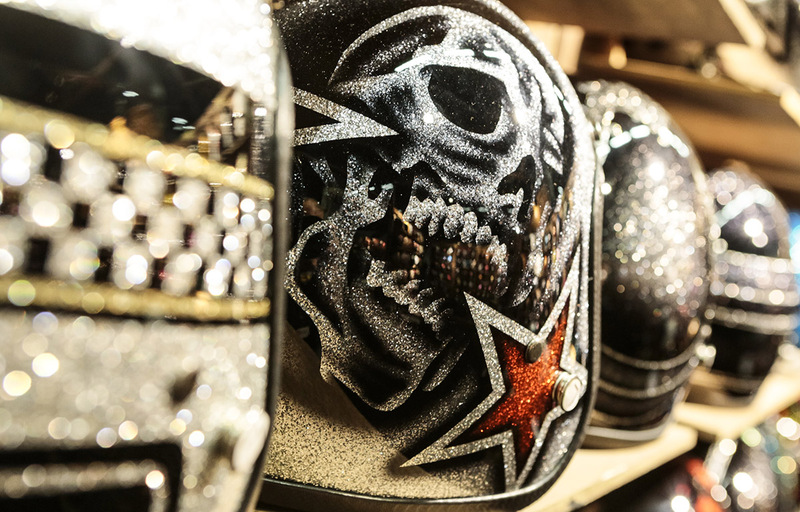 Fashion meets bikers: Everything can be purchased on site, which makes the biker's heart beat faster. Curated and hosted by Craftrad. And for everyone who wants to take an active part at the event: across all trades and skills, honing, screwing and lacquering will be on display. Watch, ask questions and join in. Spectacular sprints with ESSENZA and the Sultans of Sprint will likely be held again outside the hall and bike shows will take place inside. 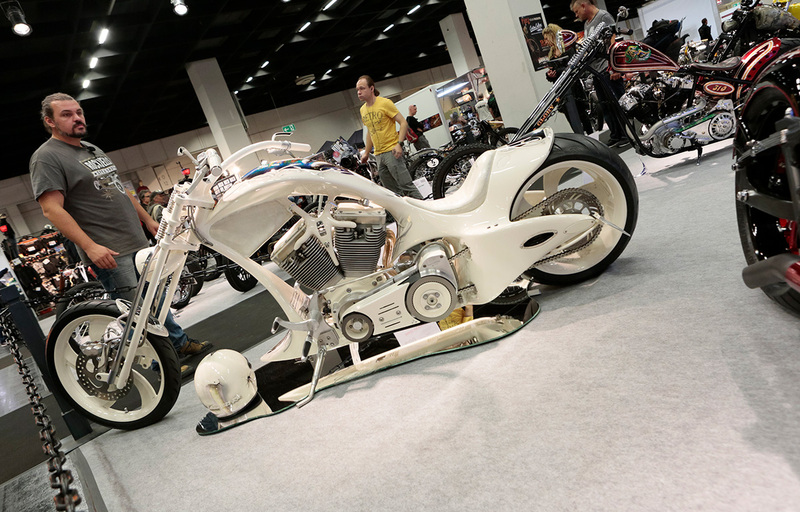 There will also be another edition of the AMD World Championship of Custom Bike Building in various categories. This is where the bike builders will show what they've got. BIKES MUST RUN: THE INTERMOT SPRINTS! For the 2018 event, the new INTERMOT bike was once again built by Marcus Walz. He and his team set about a Yamaha XV 950 in the workshop with a completely clean slate. The result is breathtaking and the INTERMOT team is already on the road with it, bringing the scene to Cologne. 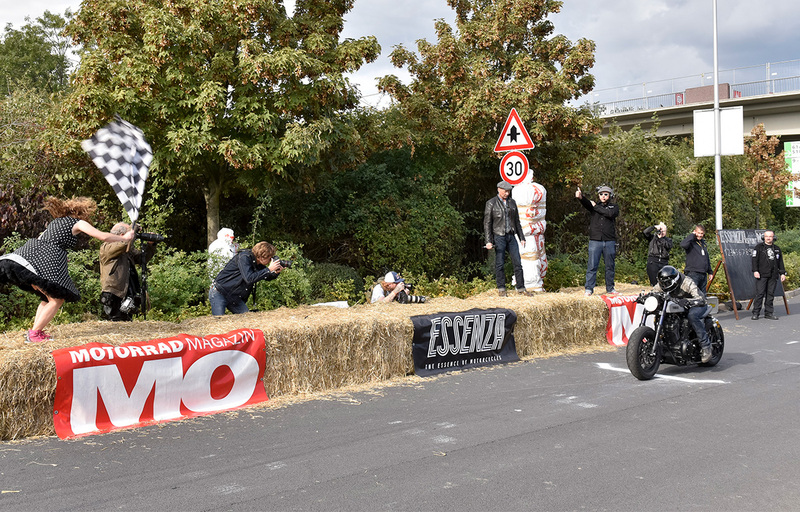 After the ESSENZA sprints at the Cafe Racer Festival in Paris and at Glemseck 101, both classic V2 gatherings and festivals of the New Wave custom scene are on the agenda to address new target groups and visitors for INTERMOT customized. In Hall 10.1. Direct access from Entrances East and South! THE INTERMOT CUSTOMIZED BIKE ON TOUR. • Dates for 2018 to follow! Mai-Lin Senf: blindingly blonde and Germany's first and only female professional motorcycle stunt driver who has been tearing it up for years. Christoph Werner: Vice President Trade Fair Management and Senior Vice President, Koelnmesse GmbH. He rides motorcycles fast and passionately. Glemseck 101, Ace Cafe Reunion, Harley Days. 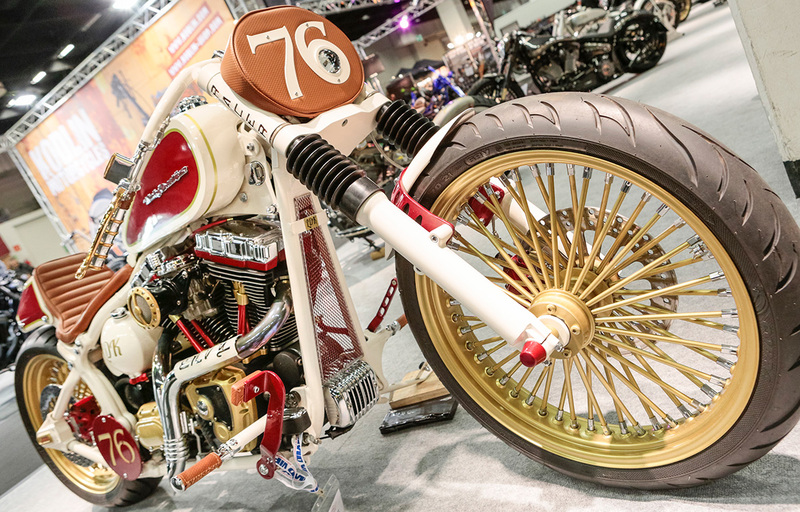 If there is one thing the custom bike scene likes as much as their bikes, it’s to meet up. 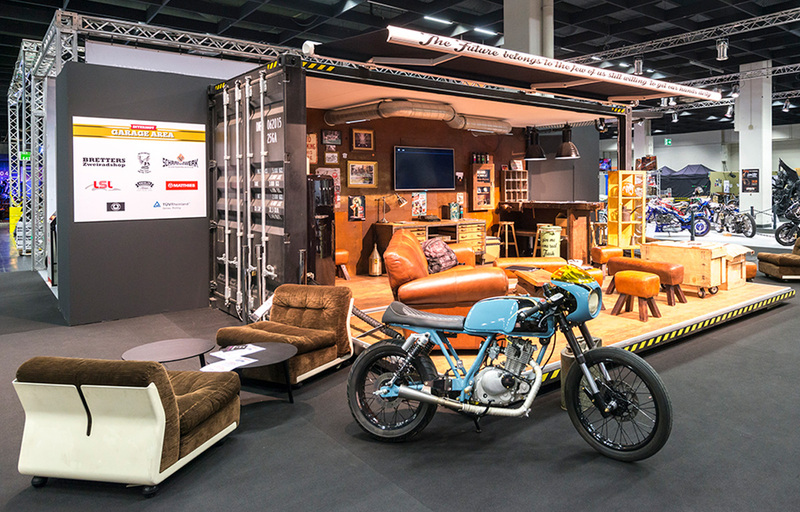 And where better to do that than in the customized area at INTERMOT? In addition to maximum enthusiasm, these bikers have high incomes at their disposal and the willingness to spend it IN DEN ZWEIRADTRAUM ZU INVESTIEREN. After all, you don't ride a motorcycle because you have to. You ride one because you love to. And that is exactly why, in 2016, around 220,000 people made their way to INTERMOT – in order to test the newest machines, talk shop, enjoy the spectacular event programme. 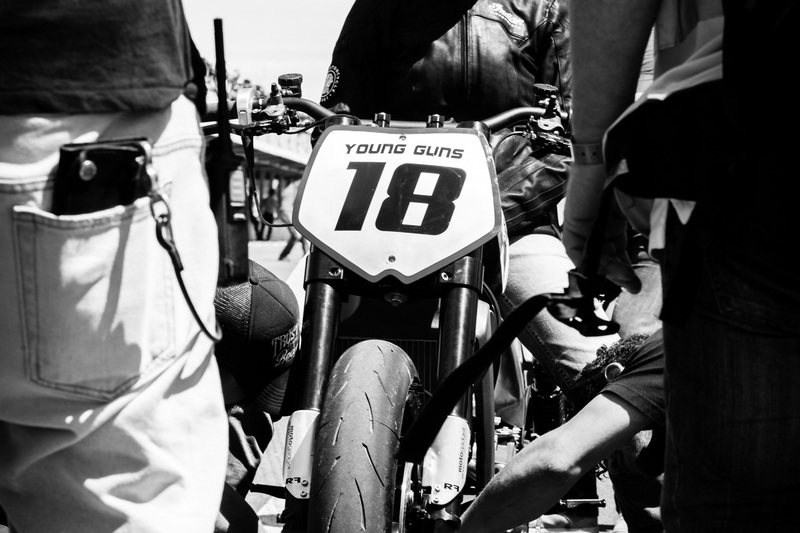 Their lived passion for motorised two-wheelers is what unites them all. 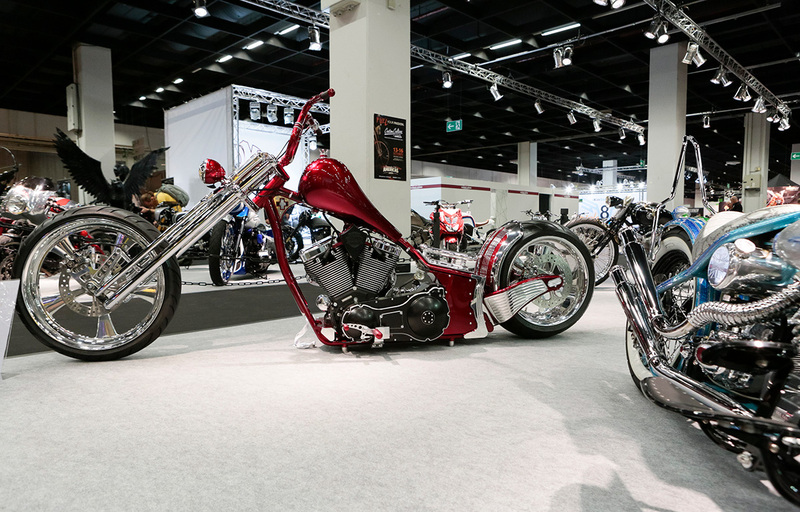 This makes Koelnmesse the perfect platform for the full range of products on the motorcycle market. The customized hall also offers direct sales, which provides an additional shopping experience. More fun, more networking. Entertainment is provided. In 2018, the hip biker party will again be held in Dock One, with its relaxed atmosphere and industrial loft style. Approximately 1,000 people are expected again – which means non-stop networking and shoptalk. There will also be live music by various popular bands and street-food-festival style eating. INTERMOT has established itself as one of the world's leaders in motorcycle fairs. So it's no surprise that, also for our communication strategy, we think big and in international terms – this lets you enjoy maximum attention and unlimited reach within target groups. Through all media and social networks, the most important decision-makers from the motorcycle industry can be reached: in trade and consumer press, on- and offline. Contact us and take advantage of our comprehensive communications services to promote your company at INTERMOT. COLOGNE IS AT THE CENTRE OF EUROPE: EASILY ACCESSIBLE. Europe's heart beats in Cologne. The vibrant metropolis is located in the middle of one of the most populous regions, with 180 million Europeans within a radius of 500 km. And no matter where you come from, all roads lead to Koelnmesse: the 10 motorways circling Cologne are well signposted and lead visitors directly to Koelnmesse. It's a quick trip for rail passengers, too. Koelnmesse's own train station is right at the front door and is connected to Europe's ICE high-speed network: Frankfurt is only an hour's ride away. Koelnmesse is also connected to the international airports of Cologne/Bonn, Düsseldorf, Frankfurt and Amsterdam. There are about 15,000 parking spaces adjacent to the exhibition. Cologne’s hotel capacity offers more than 90,000 beds. With over one million inhabitants, Cologne has a vibrant cultural scene. The Philharmonic Hall, the world-famous Cathedral, numerous museums and the Lanxess Arena offer extraordinary possibilities for the event programme. Of course, you can also enjoy the Rhineland lifestyle in Cologne: with countless pubs, restaurants and breweries, there's something for everyone. And this is how you get to INTERMOT. Find accommodation for every taste and budget here. Custom-tailored solutions and services for your success at the fair. Calculate the costs for your trade fair presence simply and fast. DO YOU HAVE ANY FURTHER QUESTIONS? DON'T HESITATE TO CONTACT US!